Well okay, maybe not, but wouldn't that be nice?! I've posted about our love for cinnamon rolls before, but this weekend, I shared a photo on Instagram and a few people asked for the recipe. I've recently tried a new recipe and love it, so here you go! 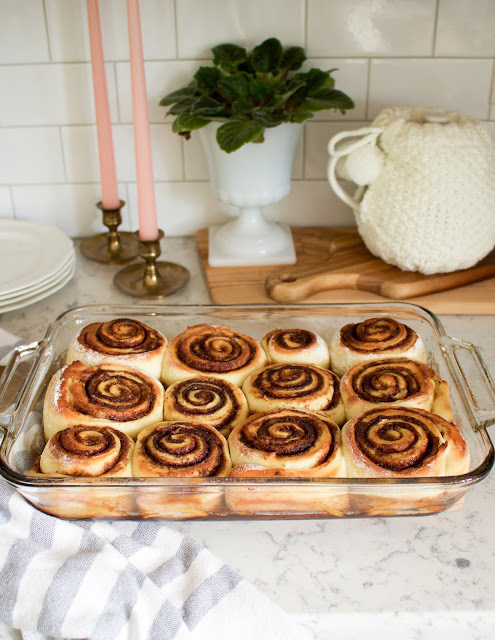 This is the recipe that I've been using lately and I tell ya that it's pretty hard to resist the urge to have more than one cinnamon roll at a time! I like to rub butter onto the bottom of the pan, then I sprinkle some brown sugar and top that with a little corn syrup for extra stickiness before setting the rolls into the pan to rise & bake. 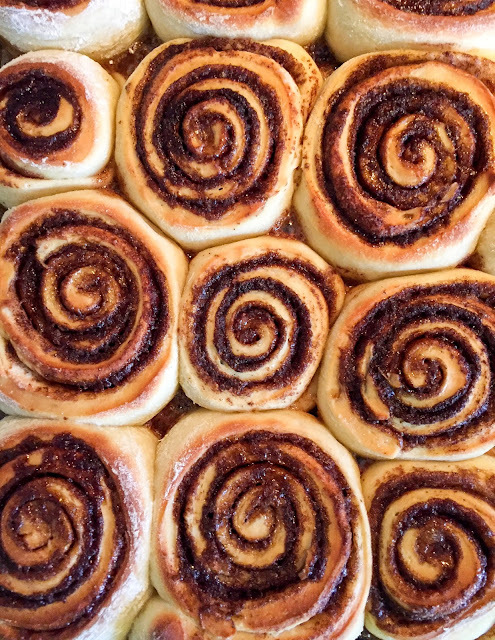 If you've ever thought of making cinnamon rolls, but feared that they are too difficult, I assure you that they are much easier to make than you may think! I definitely urge you to give this recipe a try!